Isabella the Catholic had already fixed her attention on her kinsman, Ferdinand, prince of Aragon, who was distinguished for his comeliness and for his intelligence. Also, he was heir to the second largest kingdom in Christian Spain, and by marrying him Isabella would raise her country to a first-rate position in Europe. Manifold choices lay before the joint sovereigns of the new state, but unfortunately for Spain, in that historic moment all of them appeared to be religious. Religious unity was a medieval reality in the other Europeans states. Furthermore, during the eight centuries of the reconquest, it had been the only unit that the Christian kingdoms had known. Now, in 1479, Ferdinand and Isabella decided it was high time to complete the religious unity of the peninsula. The two large religious minorities of Spain, the Moslems and the Jews, were obviously obstacles in the way of this goal, hence they must be overwhelmed. In 1480 the Inquisition was set up in Seville for the express purpose of examining the sincerity of the Jewish converts. It quickly gathered momentum and eventually led to the persecution of the entire Jewish population of Spain. The following year, 1481, under pretext of a Moorish incursion in Spanish territory, war was declared on the Moslems. The Jews had enjoyed many centuries of tranquility in Moslem Andalusia and in the Christian kingdoms of Spain while their brethren were brutally persecuted throughout the rest of Europe. The tolerance of both of these Spanish cultures was unique during the Middle Ages. Moslem friendliness toward the Jews lasted from 711 until 1146, when the fanatical Almohades entered Spain. With the history of what had happened to their race in the other European countries before them, tens of thousands of Spanish Jews accepted, or were forced to accept, baptism and conversion to Christianity. Many of these converts rose to high positions in the state and even in the church. 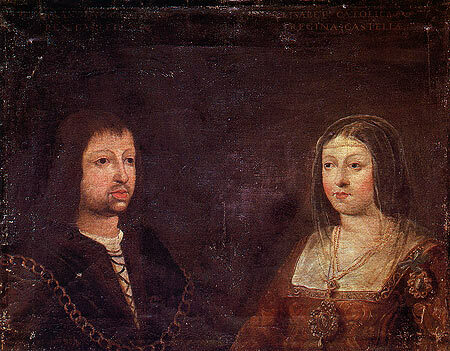 Anti-Jewish sentiment was strong in Spain when Ferdinand and Isabella came to the throne. The lower classes envied the wealth and influence of the Jews and of the Jewish converts who had achieved additional status by their marriages into the noble families. Nevertheless, the dread efficiency of the Inquisition as an instrument of state policy increased apace. The crown was on its way to complete dominance of the political, religious, and social organism of the Spanish nation, and would brook no diminution of its newly won power. Ferdinand and Isabella had already begun their supremely “Machiavellian” policy, on the one hand persecuting the “Judaisers,” on the other battling the Moslems, and with what energy was left thumping away at the nobility. The taking of Granada was no easy task; the city was in a state of full defense, and its powerful ramparts were well manned. This final war of the reconquest took eleven years, and for the last several months the Christian army was encamped at Santa Fe, just outside the city of Granada, around which they placed a circle of steel. Gradually the siege had its effect; famine and exhaustion forced the Moslems to surrender, and on January 2, 1492, the victorious Christian army entered the defeated stronghold. It was not an unconditional surrender; the Moslems had capitulated on terms. They were guaranteed and were to be allowed to retain their own laws, their homes, and their possessions, and were to pay no extra taxes. With these terms most of the Moslems decided to remain in Spain, but several thousands of them did cross over to northern Africa. Ferdinand and Isabella took up residence in the beautiful Alhambra palace, now presiding over a territorially unified country. With the Moslems conquered and the marranos crushed the inquisition now turned upon the Jews. As far back as 1480, first year of the dread Tribunal, the cruel-lipped and sardonic Torquemada had urged Ferdinand to expel the Jews from Andalucia, the region where they lived in the greatest numbers. 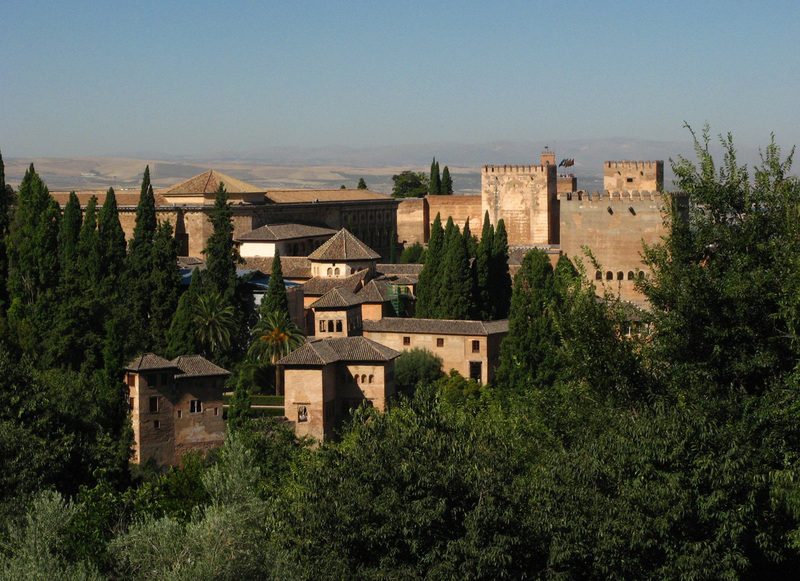 Three months after the capture of Granada the edict went forth from the Alhambra ordering all Jews to leave the country within four months, on pain of death. They were allowed to dispose of their property, but could take with them neither gold, silver, nor precious stones. In 1499, the church piled all Arabic religious books it could find in a huge mound in a public plaza and had them burned. Many beautiful and priceless manuscripts were consumed in the holocaust. This was followed by constant pressure, imprisonment of the “troublemakers,” and dire threats to those who held out. Eventually practically every Moslem in Granada accepted baptism. The country was now completely Christian through the most detestable expedients that sophistry would devise and fanaticism would apply. Yet, even Moriscos the ex-Moslems were not let alone. They were forbidden to wear their customary clothes, and were expressly prohibited from taking baths. Bathing was presumed to be prima facie evidence of apostasy. The phrase “the accused was known to take baths…” is a common one in the records of the Inquisition. One year during the reign of Ferdinand and Isabella stands out above all others. That year is 1492. It was the miraculous year of Spanish history, and embodied the culmination of events which had been many centuries in the making. First of all, the war against the Moslem was won; the Cross was planted on the Alhambra Hill, on January 2, 1492; and the catholic sovereigns took up residence in the exquisite red palace of the Moorish kings. In that same year the Spanish inquisition turned its full force against the other religious minority in Spain, the Jews, and they were expelled from the country en masse. Also in 1492 Rodrigo Borgia, a Spaniard, was made Pope in Rome, thus giving Ferdinand and Isabella a strong ally inside the church. The fourth historic event of 1492 was the discovery of America. Other sailors might have touched the shores of the New World before Columbus, but his trip was the only one which counted in history, linking America with Europe. The fifth important happening of 1492 was the publication of the Castilian Grammar, by Antonio the Nebrija, which was the first grammar of any modern European tongue. This book marked once for all the clear supremacy of Castile and its language in the language and literature of Spain. In 1499, during the very middle of this transition period, one of the truly great works of Spanish literature appeared. This book is The Celestina, and was written by a converted Aragonese Jew, named Fernando de Rojas. It is a perfect literary symbol of the Renaissance in Spain. It blends beautifully all of the divergent elements which went into the make-up of the Spanish Renaissance. The reign of Ferdinand and Isabella expresses the religious, cultural, and political unity of the Spanish Renaissance, the Celestina embodies and blends in one harmonious whole its literary essence, but the discovery and conquest of the New World is, in fact, the real Spanish Renaissance, the true rebirth of Spain. 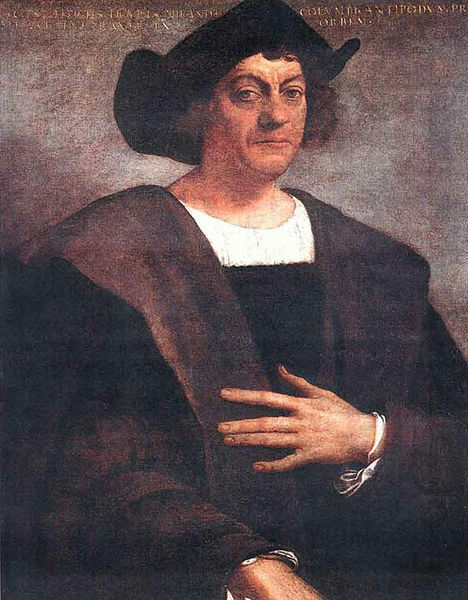 Columbus thought he had found India; he died still thinking so. The epochal meaning of his discovery eluded him, but it did not for long eluded the restive soldiers and sailors of Spain, who soon learned that America was a treasure house of gold and slaves. And it did not eluded the wily eyes of the rapacious Spanish kings Charles V and Philip II, for these new lands were the “personal” patrimony of the crown and did not belong to the nation, and from them the “royal fifth”, increased by countless taxes, kept Spain going for more than a century. The triumphant church also turned its gaze toward America, for here were virgin souls to convert, here was the possibility of creating on earth the millennium. The Spanish conquistadores were not wild young blades, but older, mature men whose character was already firmly set in the pattern of the home country. In 1492 Columbus himself was forty-one, Pizarro was fifty-six when he captured the Inca ruler Atahualpa; Cortés was thirty-four when he entered Mexico city; Valdivia was forty when he led his expedition into Chile. Action, epic action, was the keynote of their conquest, action more dynamic even than that of the reconquest of Spain herself from the Moslems invaders. The conquistadores also created a new kind of literature consisting of first hand reports and impressions of the strange New World, its geography, its flora and fauna, its native inhabitants, and their own personal experiences, explorations, and battles. Cortés, with a force never exceeding 1,500 Spaniards, penetrated to the heart of a hostile country and conquered the vast Aztec empire. Pizarro, with fewer than 400 soldiers, seized the Inca chieftain and subdued his nation of several millions. Quesada, with only 166 men, reached the savannah of Bogotá, five hundred miles inland across swamps and mountains, and overcame the Chibchas. Orellana crossed the Andes from Peru, constructed a few makeshift boats, and traveled 3,000 miles down the Amazon, finally reaching the Atlantic Ocean. These men did not believe in wasting time. They did not evaluate the situation rationally. They attacked each problem by instinct, regarding nothing as impossible, and almost nothing was. The Spanish Renaissance meant the decline of many of the deeply Hispanic values of the Middle Ages, but the discovery of America gave Spain a chance to revive these ancient values in the new world. If personal bravery was no longer as alive as it had previously been in Spain, there was the whole other hemisphere. If the communal life of the medieval villages was slowly giving way to the inroads of an expanding national economy and geopolitics, there were the missions. America was the answer for this ineradicable desire to perpetuate the ancient ideals. In 1492, Spain stood at the pinnacle of her destiny; she exerted herself to create the golden moment, and she was able to follow through.